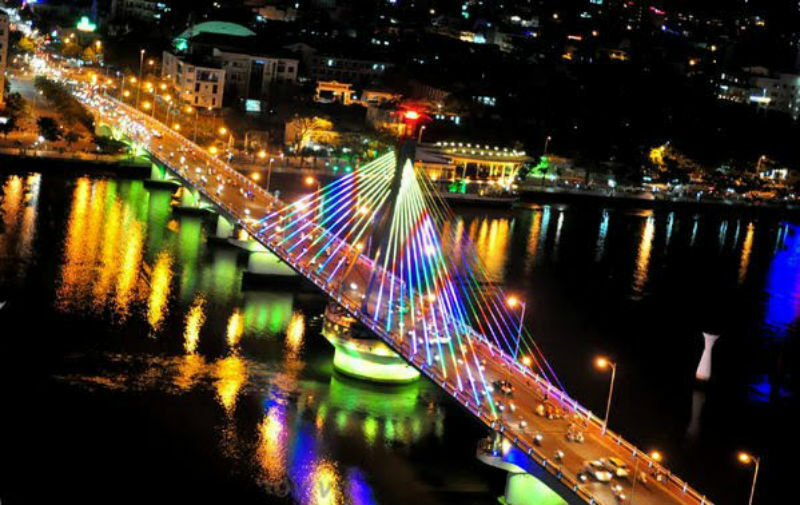 Han River bridge is a bridge in Da Nang, Vietnam. 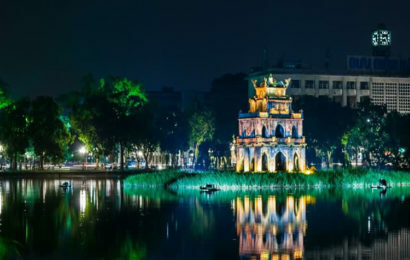 In the middle of the night, traffic is stopped from crossing the Song Han Bridge and it swings on its axis to allow shipping traffic to pass along the river. 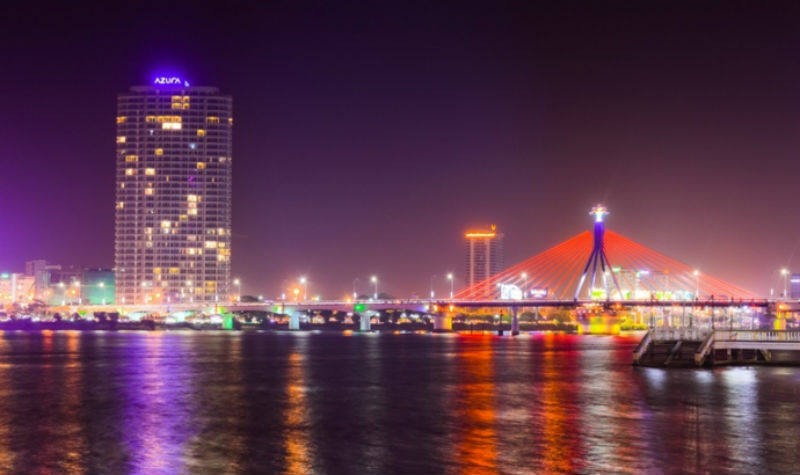 The Song Han Bridge in Danang is a cable-stayed bridge that is lit up brightly at night. 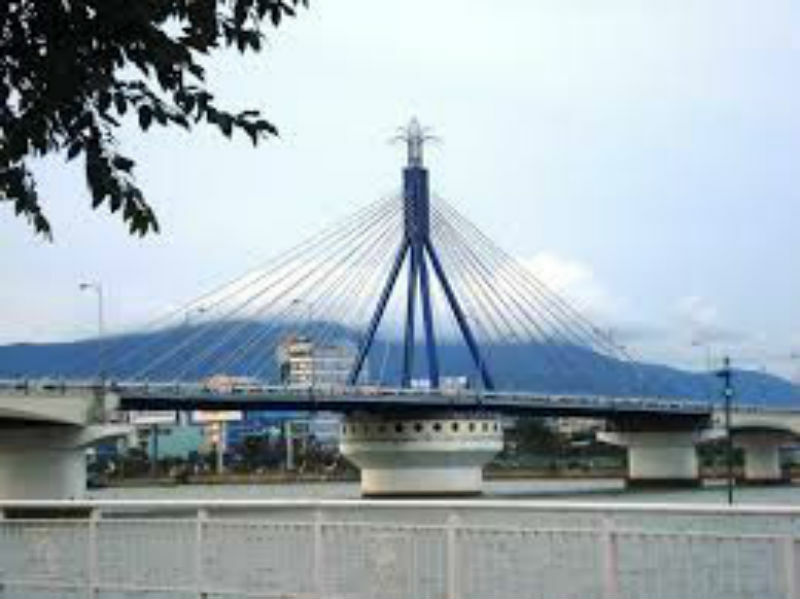 The area around the bridge is the location of Da Nang cultural center. 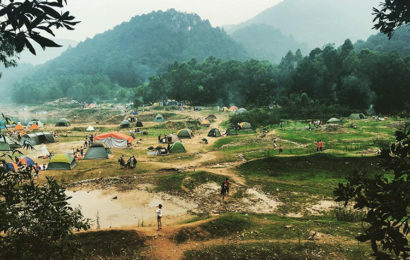 Some travelers said that travel to Da Nang, do not look for filming and photography to record the moment for filming, was not meant to Da Nang. So when you travel to Da Nang, you witness and record the exciting moments of filming it this bridge. Life in the bustling banks of the Han River, day and night, many modern services ready to meet tourists. 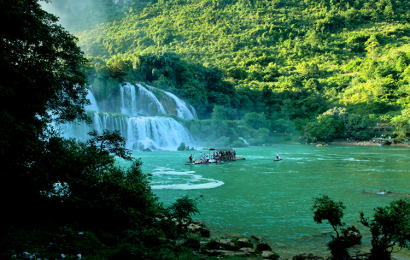 Currently, traveling by boat on the Han River are popular recreational services. The City has added several new bridges crossing the Han River. However, the bridge will not have any more feelings created for the people of the City as to what brought the Han River Bridge. Walking: If you are in Han market, it is very easy for you to come to Han River Bridge just by walking. You go straight on Bach Dang Street and turn left at Indovina Bank- Da Nang Branch. Then you turn right on Tran Phu Street to see Le Duan Street. You turn right on that street to get there. It takes about 10 minutess by walking. 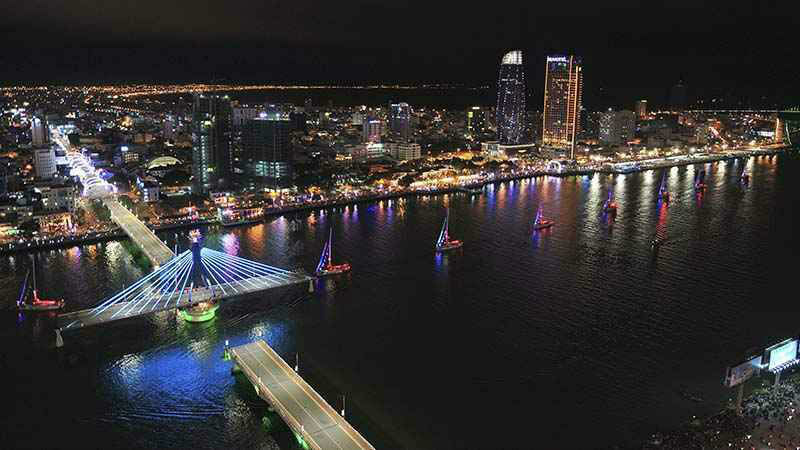 – From Han River Bridge, you can walk along Bach Dang Street to enjoy the beauty of Da Nang at night.